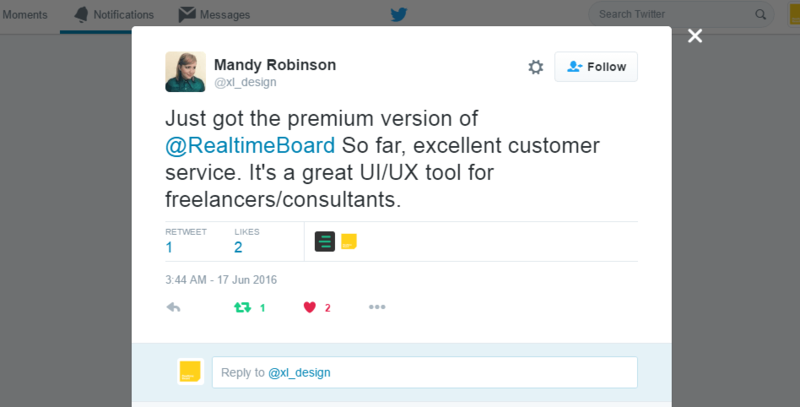 Thanks to RealtimeBoard, Freelance UX Designer is no longer forced to look for collocated jobs and projects. Interactive online whiteboard easily makes remote UX processes as effective as if they are managed within one room. Mandy Robinson, a Freelance UI/UX Designer, has shared her positive experience with RealtimeBoard via Twitter, and we asked her to tell us more. 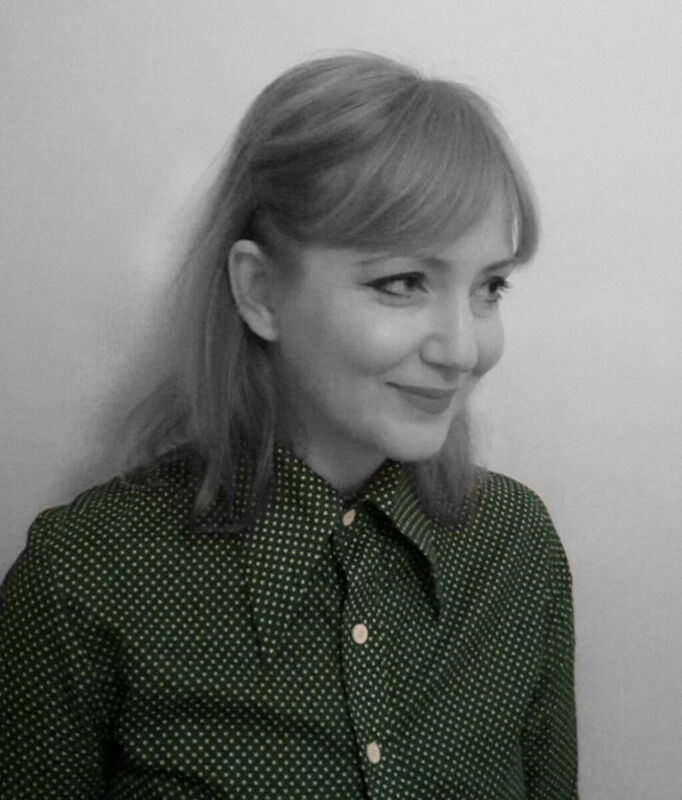 Mandy Robinson (the alias name for working projects is XL) designs websites and mobile apps, specialising on wireframing and prototyping, UI/UX and web design, different types of illustrations and logo design. She has more than 10 years experience in design. You can find interesting facts at her website. I am freelancer doing design and UX, and there is no typical workflow. Each project is unique, and now it is the first time I’m working with a team based in another city. I am living in Cape Town, South Africa, currently contracting for an agency from Johannesburg. We have standups every morning via Skype and use HipChat and email for communication. Also, we have UX discussions for 1-2 hours twice a week with an involved developer and the Product Owner. 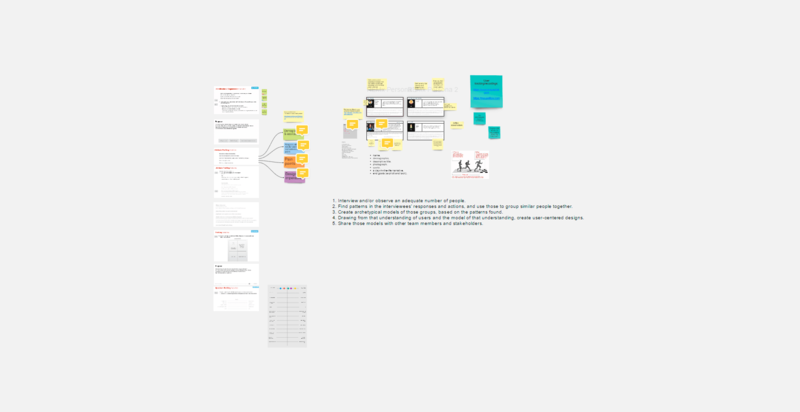 Initially, I was working mostly in isolation and then presenting prototypes and wireframes to the client. So when I needed to present ideas I used a combination of Google Docs, Skype, and Teamviewer to communicate and Axure to present prototypes. As soon as I started collaborating more with the team and exchanging ideas, we realised we needed a tool to do that remotely but as effective as if we were together in one room. The previous toolkit didn’t help with remote brainstorming and active collaboration. Our sketches, thoughts, and rough mockups were placed in several locations (my laptop, office computers, whiteboards, etc. ), so it was difficult to keep track of documentation or to add questions and comments. Luckily, we identified that we needed online whiteboard early on, so the fact that I am a remote team player hasn’t had a negative impact on project effectiveness. Developers and I searched for a few different options, and we liked RealtimeBoard the most. It works really well and has a great UI. RealtimeBoard is easy to get started and the templates help a lot, especially, for those who create Personas or Empathy Maps for the first time. I contacted RealtimeBoard Customer Service once and my issue was resolved that very morning, despite being a different time zone. It’s so much better than a regular whiteboard because you can use it remotely and you can save your boards as JPG and PDF and back them up. So much clearer and less cumbersome than taking photos of a real whiteboard. 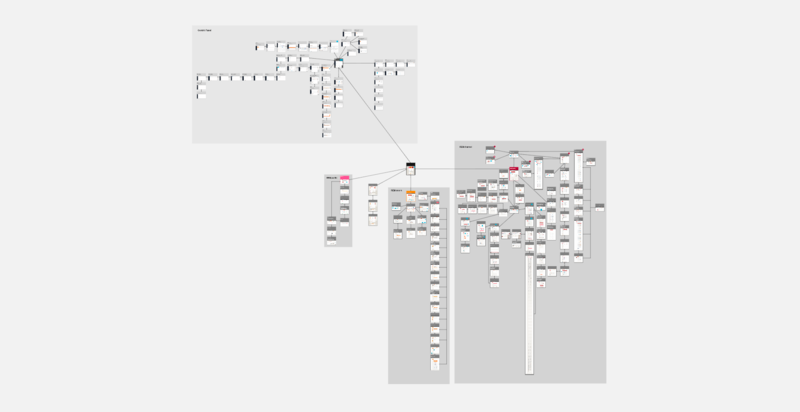 My team and I really like RealtimeBoard endless canvas. 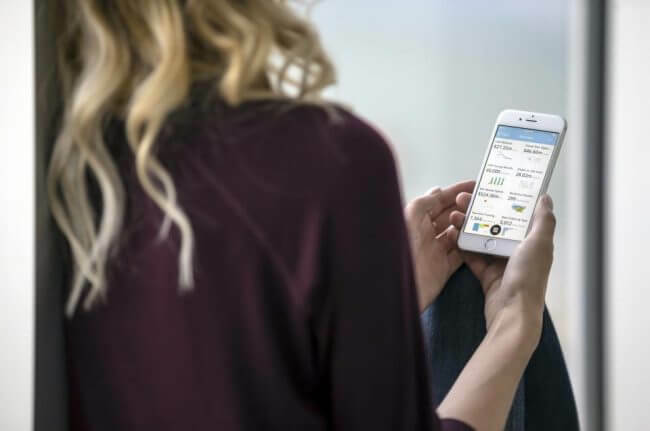 Initially we were looking at a way to map out three current web apps so we could make comparisons of functionality and determine how we could make the components more integrated and improve the overall UX. The endless canvas enabled us to zoom out at a high level so we could get a helicopter view. We also found extremely useful RealtimeBoard Chrome Extension, which instantly captures the screen you want to add to the whiteboard, and the ability to share the screen with others and invite collaborators. Recently I have enjoyed another feature. While creating the system map from various screenshots of the apps, it was great to be able to link pictures using the arrow tool and move them around the board. The stickers helped me to make notes and separate ideas into groups and categories with color coding. As I’m still using this tool as a freelancer, the price also seems reasonable to me. RealtimeBoard has enabled me to collaborate and brainstorm more effectively with the remote team I’m working with. So I got more value as a freelancer. My employer has extended my contract, and the Product Owner is happy with this approach to presenting/discussing ideas. On a personal level, RealtimeBoard is helping me learn more about UX and deepen my understanding of the products I’m trying to improve or create. I saved hours using pre-made Demo boards and templates. First of all, I didn’t create them from scratch, second, they worked as an example, demonstrating how things should be done. 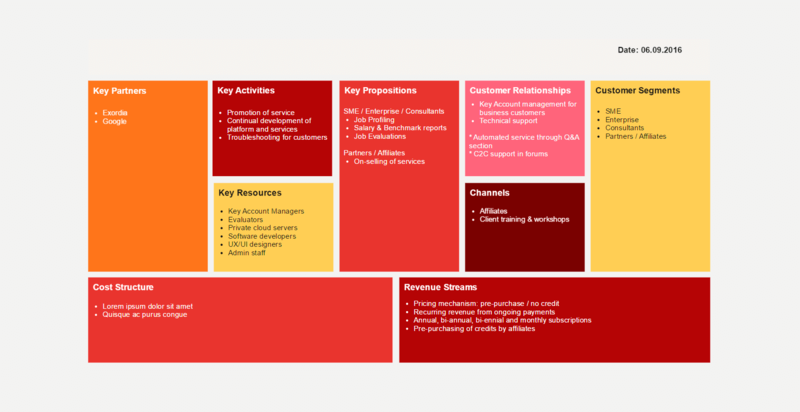 For example, Business Model Demo Board helped me to get a holistic understanding of the client’s business model. I would definitely recommend RealtimeBoard for Freelance UX designers who want to work on complicated projects as a contributing team member!